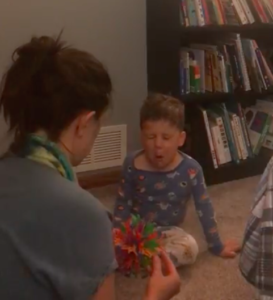 What should you do when an agitated child refuses to do any breathwork or movement? We often say, “you are the intervention”. In fact, we dedicated an entire blog post to the idea of practicing these techniques for our own self-regulation before even beginning to teach youth. But, what does that really look like in practice? In co-regulation, the grounded adult provides the frequency to which the dysregulated youth can atune. This sounds simple, but in practice, can be quite challenging. Extreme behaviors in youth often trigger our own stress responses. This is expected and normal. However, it is at this point where we encourage the mindfulness practice to take over. Notice the child’s reaction with a non-judgmental lens, and choose another response from your toolkit. 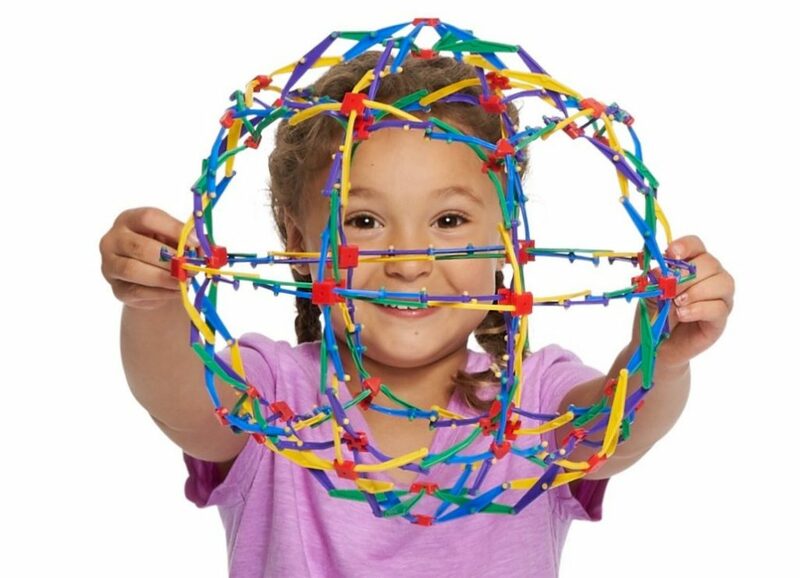 The Hoberman Sphere is the way we begin to teach Belly Breathing, our introductory breath. This tool and breathing strategy is a great resource for self-regulation. The idea is that this practice becomes so engrained that its response becomes second nature. Let’s paint a scenario. A student enters the office in an extremely agitated state. He has “flipped his lid” and is not accessing his “thinking brain”. You offer releasing breaths or other strategies that you have practiced before, but nothing seems to be resonating. Instead, he is only becoming more agitated. 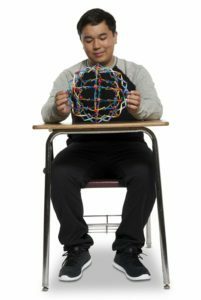 At this point, you pick up the Hoberman Sphere off of your desk. You begin to do deep belly breathing, even counting the breaths along the way. By the time you get to ten breaths, you notice that the volume in the student’s voice has dropped and his body is starting to still. A this point, you could invite him to practicipate in the strategies again as you continue your deep breathing. In this scenario, not only does Belly Breathing keep you in a calm, relaxed, alert state, but it serves as a model for desired behavior. You, as the regulated adult, are simply holding space for however the youth is showing up. While creating mindful spaces through color and decor are important, the real work begins by creating the mindful space within yourself. It is this space that will set the tone and energy for the youth you serve. On a personal note, I’d also like to share how this strategy plays out at home with my own children. My three year old was just finishing his first week of preschool. Emotional and physical exhaustion were at a maximum. Right before bed, an epic tantrum erupted. I recognized that he had “flipped his lid” and was operating in his lower brain. No amount of talking was going to turn the ship around. I brought out the breathing ball and asked, “Should we do some breathing?” The response was a resounding “NO” as he pushed the ball away. At this point, I could have walked away, tried to persuade him into getting into bed or worse, forcefully put him into bed. However, I know the power of co-regulation. I brought out tools readily accessible in his bedroom, with which he was already familiar, the Hoberman Sphere and Essential Oils. Within three and half minutes I had completely redirected his behavior. To see the full video, visit our YouTube. We’re not expected to be perfect. These strategies can be difficult to remember in times of turmoil and don’t always turn around each situation. However, knowing that these tools and strategies are available can make difficult situations seem much more manageable. The most powerful part of this work is sharing with youth, that our brains and bodies always have another chance to try again with a different response. Have you ever had a successful co-regulation experience? What has worked well for you? Leave a comment!